The colors purple and white complement each other nicely to make the purple & white pair of earrings such an enchantingly beautiful piece of jewelry. Read More..The large purple stone on the stub with a row of tiny white stones encircling it and in turn encircled by another row of tiny purple stones makes the stub the center of attention. 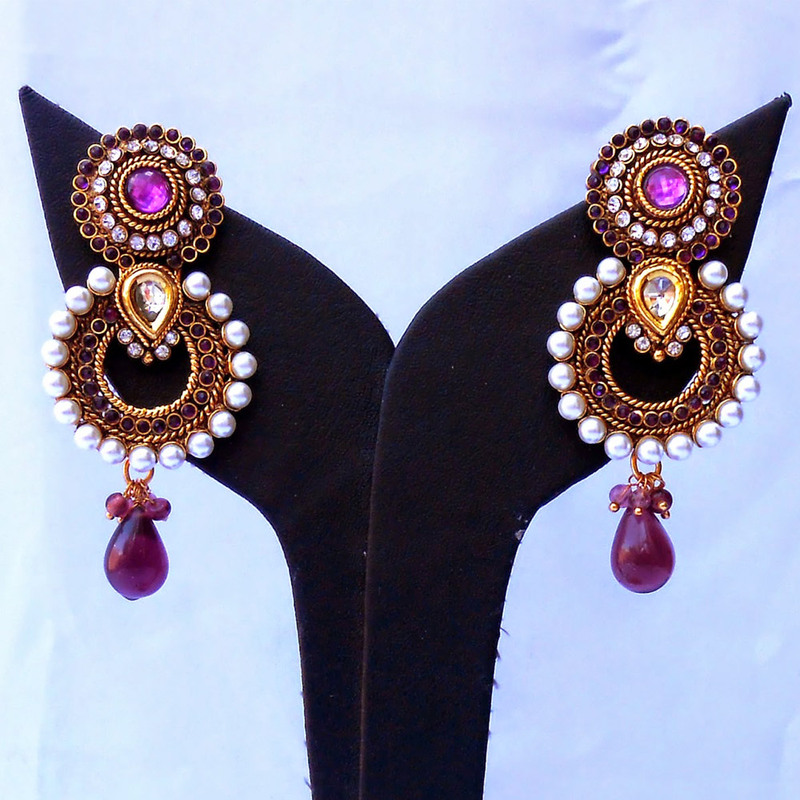 Moreover, white beads are present on the periphery of the circular center part of the earrings while a teardrop shaped purple gem hanging at the bottom adds to its beauty. Show Less..